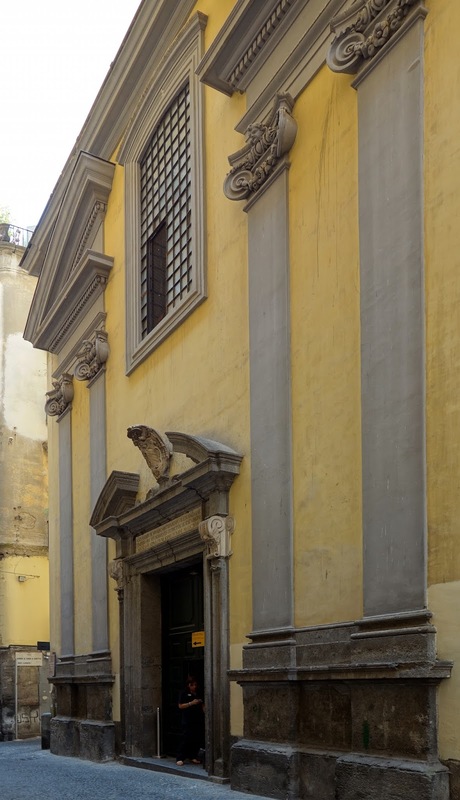 The chapel was built in the late 1500s as a mausoleum, but was decorated in baroque style in the mid-1700s by Prince Raimondo di Sangro, who commissioned the art for the chapel. It houses a few other impressive pieces, including Queirolo’s Disinganno and some way-ahead-of-their-time anatomical models, but the highlight is without a doubt the sculpture showcased in the center of the chapel. 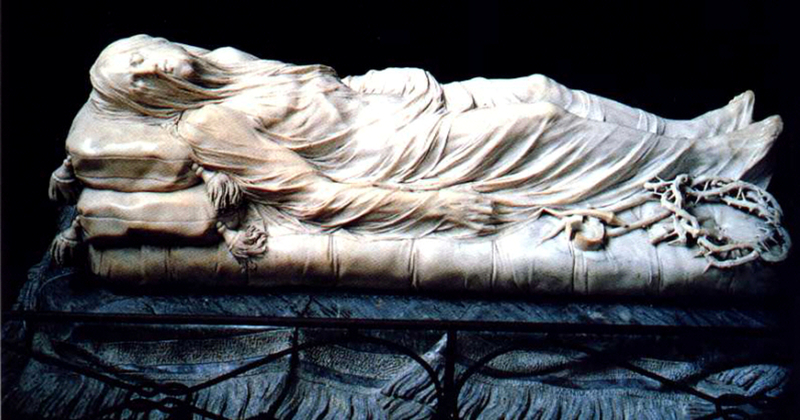 Veiled Christ is breathtaking. The way the veil seems tissue-thin…again, the skill and artistry left me dumbfounded. But beyond thinking about the sculpture as art, it was also moving spiritually/theologically. 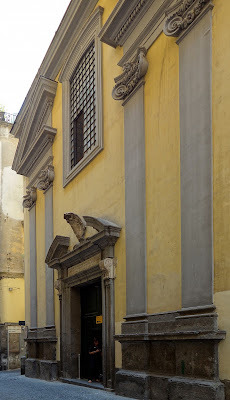 I was especially struck by seeing it on the same day as the archaeological museum’s Greek and Roman statues. In the morning, we saw pagan gods portrayed as strong, beautiful, larger than life. Then in the afternoon we saw the Christian God: vulnerable, wounded. Dead. The juxtaposition was powerful. Is it any wonder the first Christians were seen as lunatics for worshiping a God who could be defeated like this? It was incredible to look at the folds of the veil over visible nail holes in the feet and think about how our God suffered and perished—for us. His body was bruised and broken; He let Himself be crushed for us. 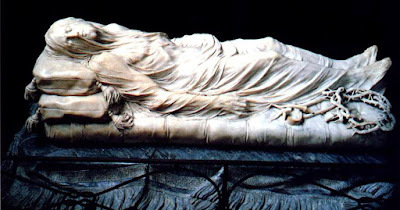 He really did lie in a cold tomb under a veil. But oh, that was not the end of the story! Because He was crucified and died for us, and then rose again to new life, He alone is worthy of worship. His willingness to be vulnerable and take on our flesh made Him able to save to the uttermost in a way that those Greek and Roman "gods" never could. and with his wounds we are healed" (Isaiah 53:4-5).